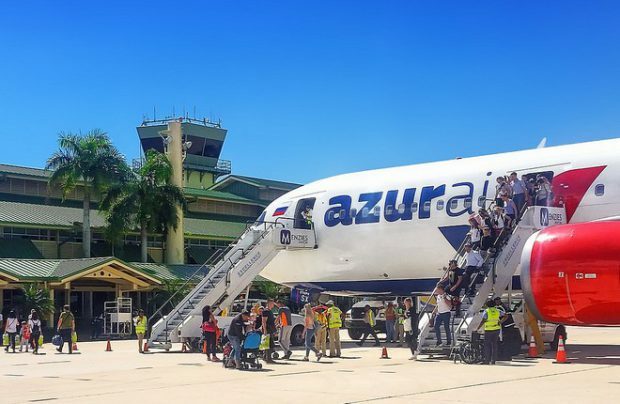 Confirming its status as Russia’s biggest charter airline, Azur Air carried some 4.3 million passengers in 2018, a 13.9 per cent improvement on the results of the previous year. Its RPKs increased by 6.9 per cent reaching 19.109 million. The seat load factor declined slightly, down by 0.6 percentage points to 96 per cent, which is nevertheless the country’s best result. In the period, the airline expanded its all-Boeing fleet by 25 per cent so that it now operates a total of 25 aircraft: nine Boeing 767-300s, eight Boeing 757-200s, five Boeing 737-800s, two Boeing 737-900s and a single Boeing 777-300ER. The last two types are new to the airline, which commenced operations with them just last year. “In 2018 the airline strengthened its position in the Russian air charter market, demonstrating high growth rates of its operational performance. In general, the airline successfully achieved its targets and we’re estimating the established growth rate will be sustained in the coming period as well,” comments Yury Stogny, Azur Air’s general director. Further fleet expansion and traffic growth are the airline’s joint aims for 2019, while it is also making an effort to continuously improve the customer experience. Fleet expansion was one of the main contributors to the performance improvement in 2018, as it enabled the airline to add new routes, including the launch of several scheduled flights, as well as adding extra frequencies to its most popular charter destinations. In the summer season Azur Air was accountable for almost a quarter of all charter flights operated by Russian airlines, and it also became the punctuality leader among charter carriers – with a 97.8 per cent on-schedule departure performance of all flights. Transferring its entire Moscow operations from Domodedovo to Vnukovo airport resulted in the airline’s biggest challenge in 2018. The Russian leisure carrier, which operates flights on behalf of the Turkey-backed Anex Tour travel company, claimed a leading position in the leisure travel market from Russia to Turkey’s Antalya, Alanya and Dalaman airports last year. At the end of November 2018 Azur Air ranked 9th in the list of Russian carriers by passenger numbers. RBC, the Russian rating agency, recently described the four-year-old Azur Air as Russia’s third fastest-growing company judging by its annual revenue growth rate, which averagely rose by 221 per cent from 2015 to 2017, the highest improvement amongst Russian companies in the air transport sector.